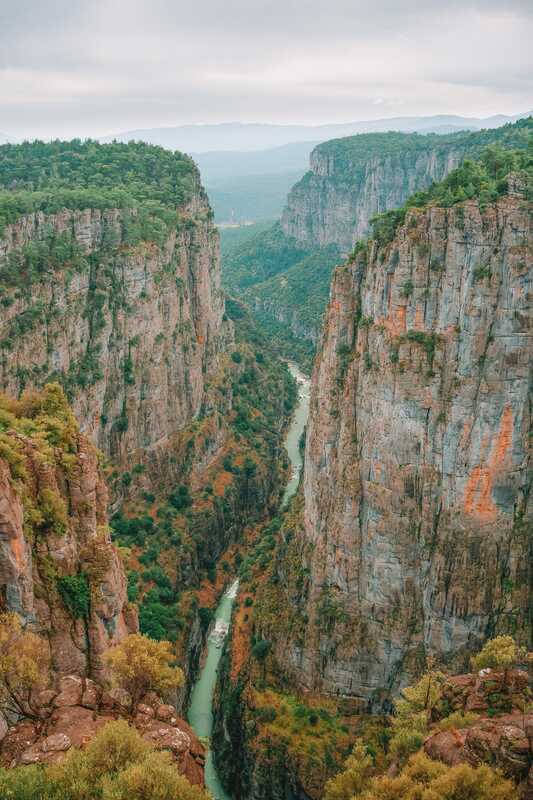 Turkey is a pretty vast and totally stunning country to visit. 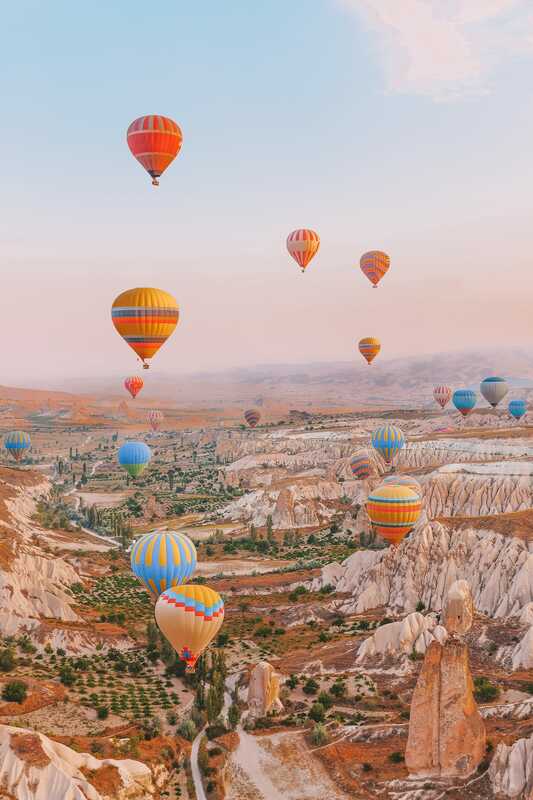 That being said, if it’s your first time visiting, you’ll quickly realise how many incredible and the best places in Turkey that there are to explore. It’s one of those places that has a little something for everyone, that’s for sure. 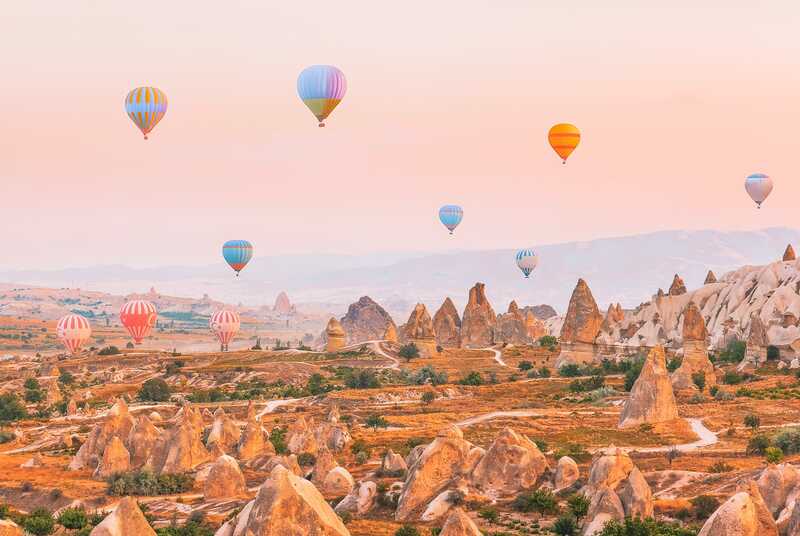 For instance, you’ve got the bustling city of Istanbul, to places like Gocek on the South Coast – it’s a country as diverse as you can imagine. 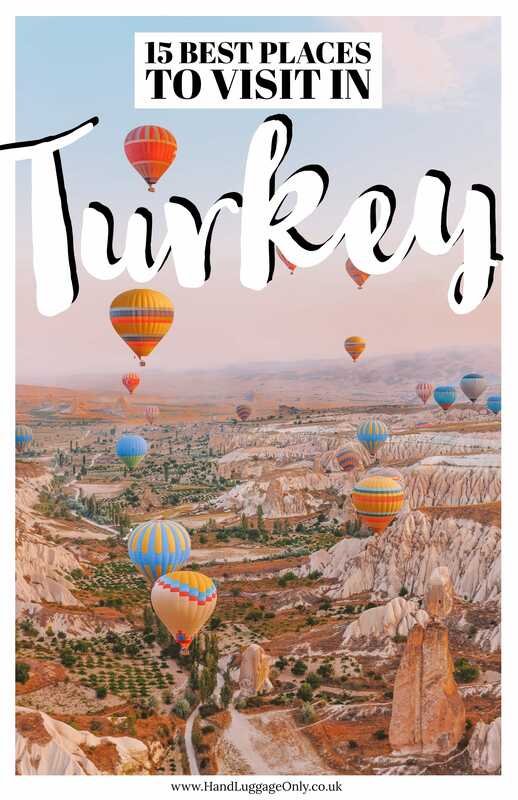 After visiting Turkey a few times, I wanted to share some of my very favourite and best places in Turkey that you really can’t miss. Some are pretty easy to get to, others are a little away from the crowds, whatever the case, I’m sure there’ll be a few that take your fancy. 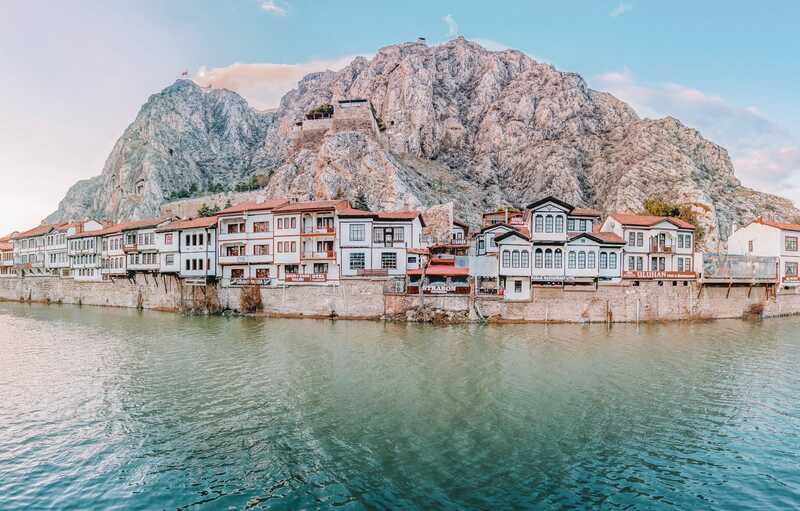 Perched within the Black Sea region, Amasya is one of the best places in Turkey to see. Nestled within the narrow valley on the Yesilirmak River (and surrounded by mountains), it’s a pretty unique and historic city that’s easy to visit if you’re already in the area. Once you’re here, make sure to explore the historic Ottoman-style houses, see Amasya Castle and spot the Kral Kaya Tombs. If you’re driving (or have organised a transfer), the trip will take around 4-hours from the capital, Ankara to Amasya. Oh, also, for a tasty lunch, pop into Anadolu MantI Evi. 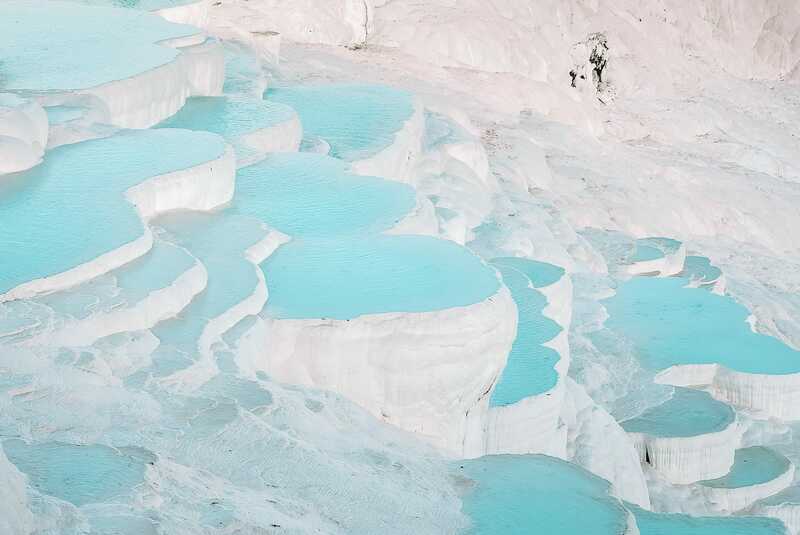 Now, right next door to the Hierapolis is the travertine terraces and thermal pools of Pamukkale. Now, I think I spent a whole between visiting Pamukkale and Hierapolis (about 20 hours) but it was well worth the trip. Once you’re here, take a dip in the iconic terraces, stop off at the Antique Pool (with its Roman columns) and explore the cave of Kaklik. It really is a special place. The relatively small island of Tenedos (or Bozcaada in Turkish) is easily up there as one of the best places in Turkey to visit. Especially if you want to visit the Aegean Coast. There’s been a long history on the island, with people living here for almost 5,000 years. This all means that there are loads of things to experience once you arrive. 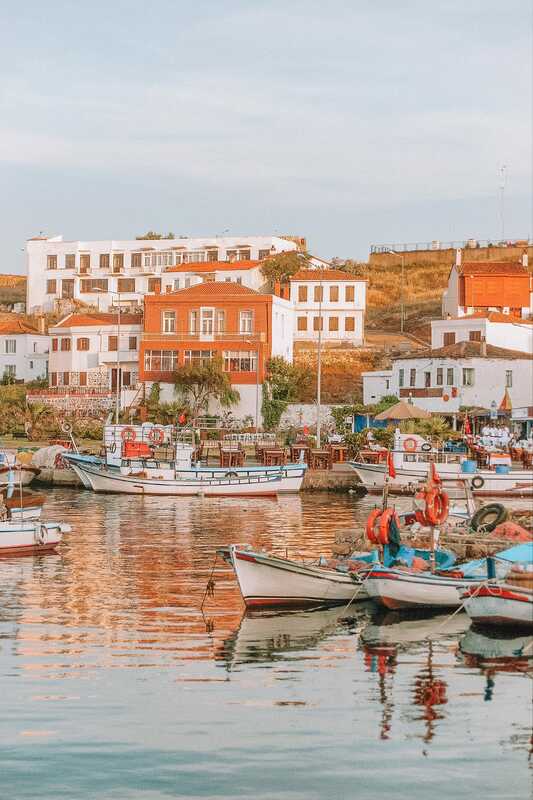 Once here, make sure to explore the 15th-century castle, wander the coastline and explore the town of Bozcaada itself. Now, the easiest way to get here is by boat from Geyikli Harbour. Just make sure you plan in advance as there are not too many options at off-peak times. 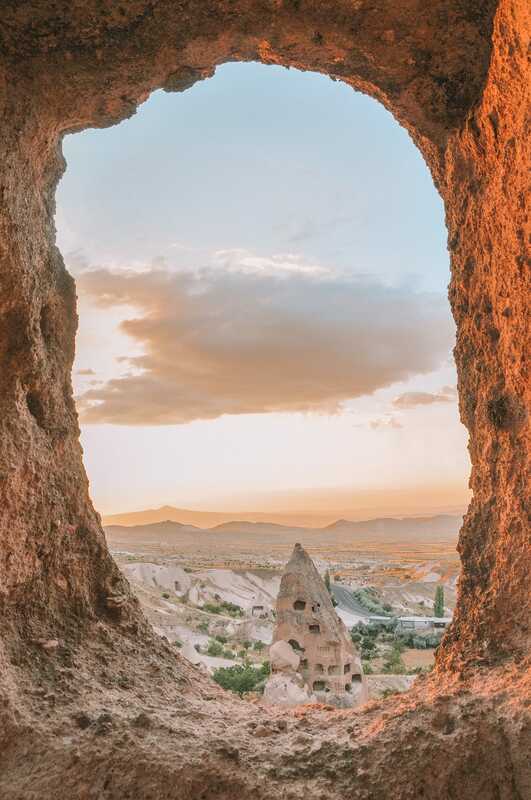 Perched within the Cappadocia region, Goreme is an iconic and one of the best places in Turkey you have to see. In fact, I’d always say to make the effort to visit if you’re already close by. 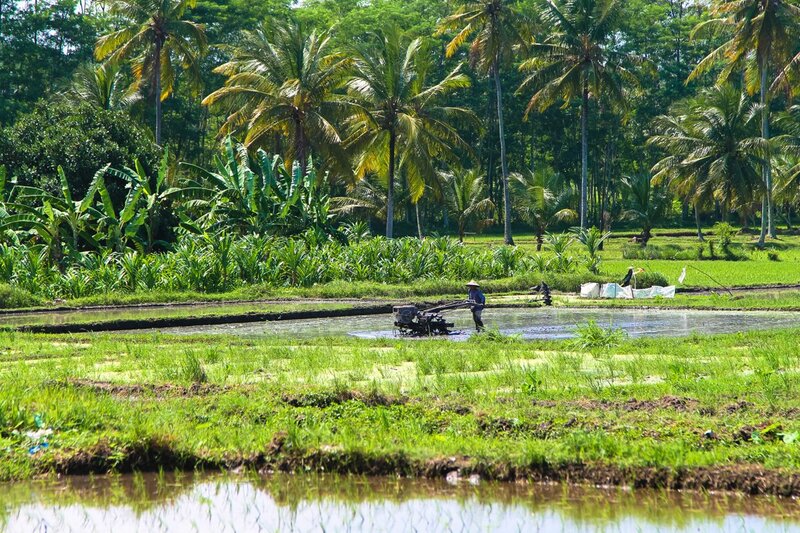 Now, one of the things that makes this UNESCO World Heritage site so special is the setting of the town itself. Perched in between the stunning rock formations that make this spot so unique. There are literally hundreds of fairy chimneys that just out of the land and between the buildings. Once here, make sure to visit the Apple Church, see Ortahane and find the Bezirhane churches – they really are stunning to see. Afterwards, explore the open-air museum, see the fairytale chimneys and explore the Pigeon and Love Valleys. It’s really is too beautiful to miss. Also, don’t forget to go and watch the sunset from (the aptly named) Sunset Point. It’s about 20-30 minute stroll to the top but well worth it. Oh yeah, and for some tasty Turkish cuisine, pop into the Inci Cave Restaurant which is set within the caves and is totally gorgeous. Being one of the only cities in two continents, Istanbul is a pretty special city to visit. 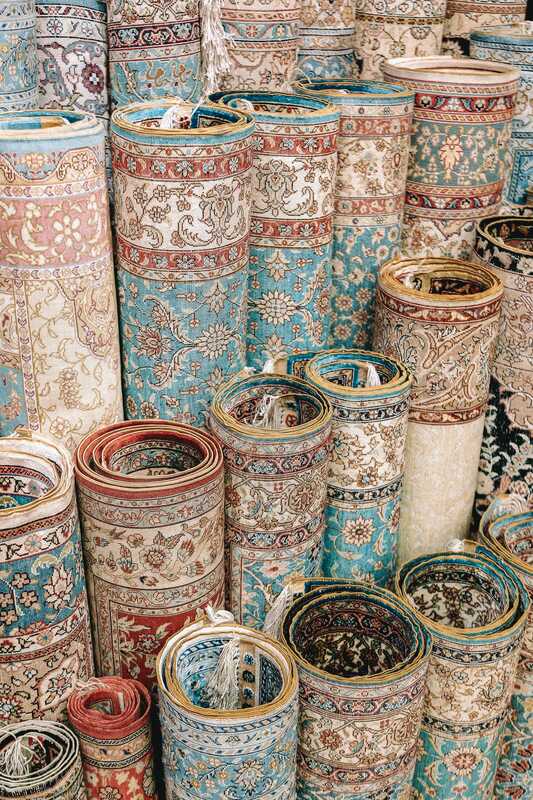 And you know what, there are so many incredible things to do in Istanbul that you’ll be spoilt for choice. For a great place to stay, check into the Pera Palace Hotel that’s near the near Pera Museum. 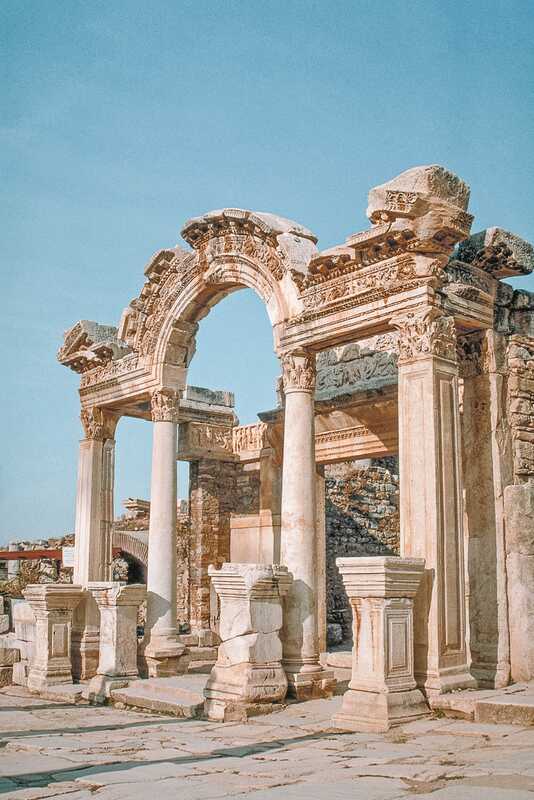 In the western fringes of the country is the ancient city of Ephesus, which is incredible to explore. With thousands of years of history. Now, the area itself is pretty huge and you can easily spend a day (if not more) exploring the site itself. 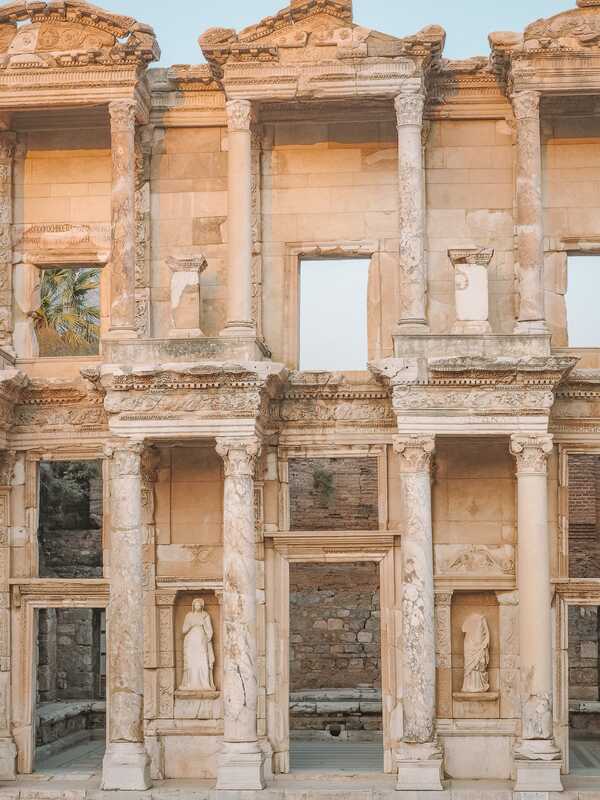 Also, be aware that Ephesus can get really busy, so try to avoid peak days or times when you visit. 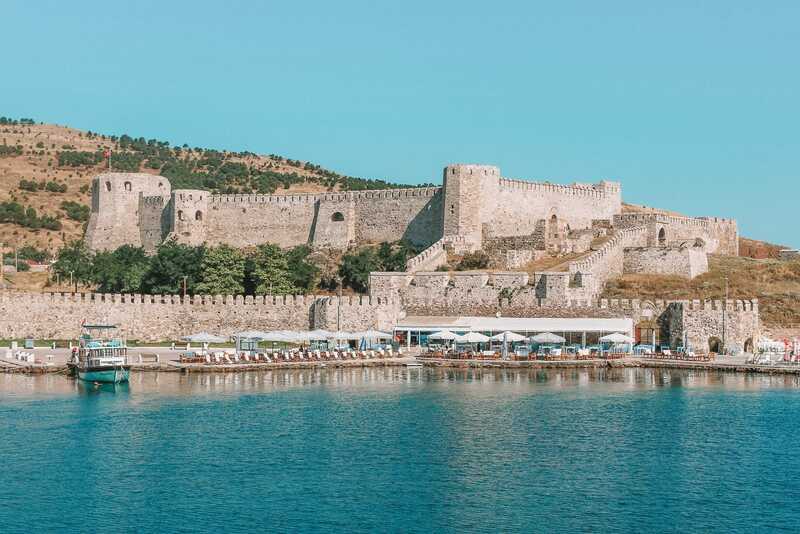 Now, you’ll find lots of opportunities for day trips from Izmir or Bodrum, just make sure to allow a whole day to visit. Plus, even if you’re visiting the gorgeous Greek island of Samos, you can still pop over on a long day excursion. Nestled on the Mediterranean coast, Kas is a historic fishing village that’s easily up there as one of the best places in Turkey to explore. And not just because of its gorgeous coastline! The town actually sits on top of the ancient city of Antiphellos, with some artefacts still present to see. Also, keep your eyes peeled for the Lycian rock tombs that are still standing. 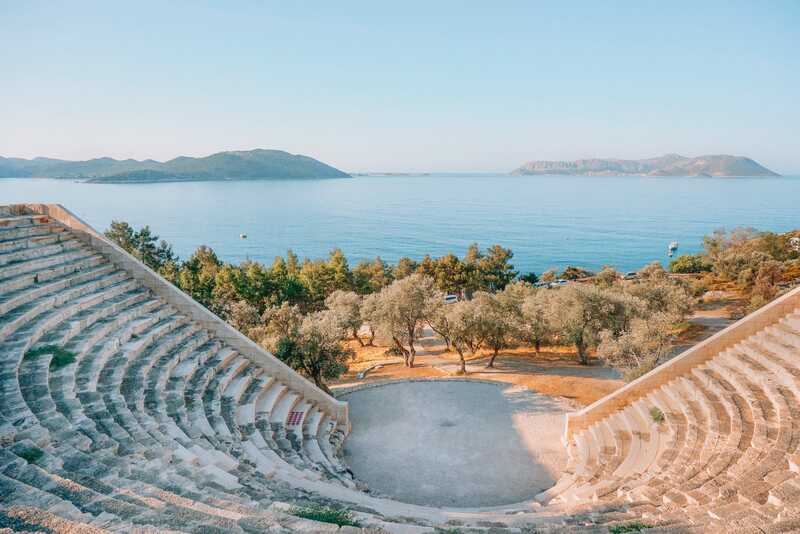 Once you arrive in Kas, make sure to spend some time exploring the Hellenistic Theatre, stroll Kas Marina and chillout at Kaputas Beach. It really is gorgeous. 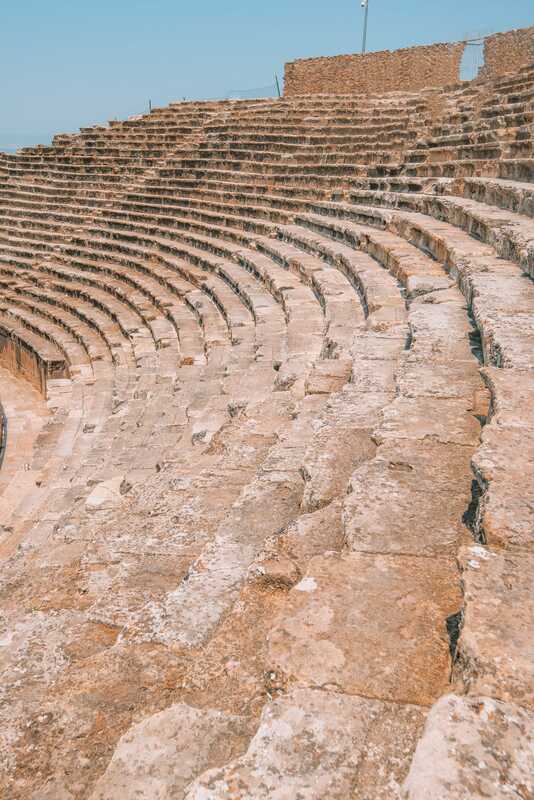 Perched right on top of some ancient hot springs, Hierapolis is easily up there as one of the best places in Turkey and ancient cities to visit. 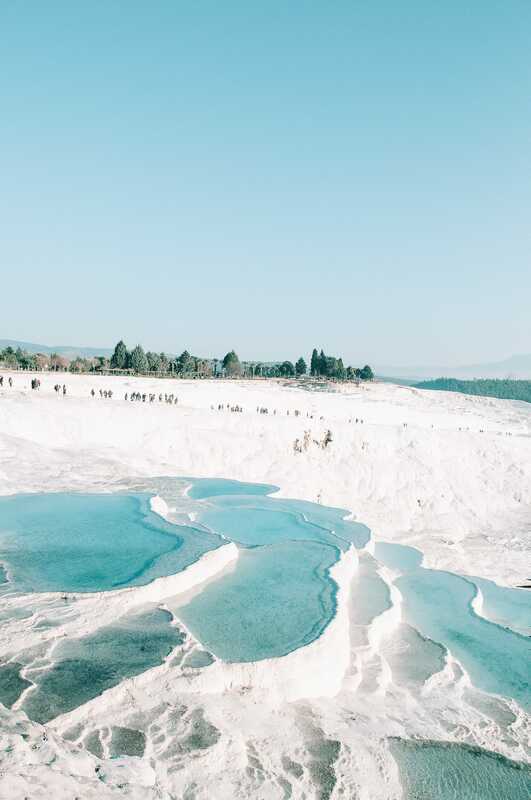 Now, the best thing about Hierapolis is that you can easily partner this with a trip to Pamukkale and the hot springs that make this whole area famous. 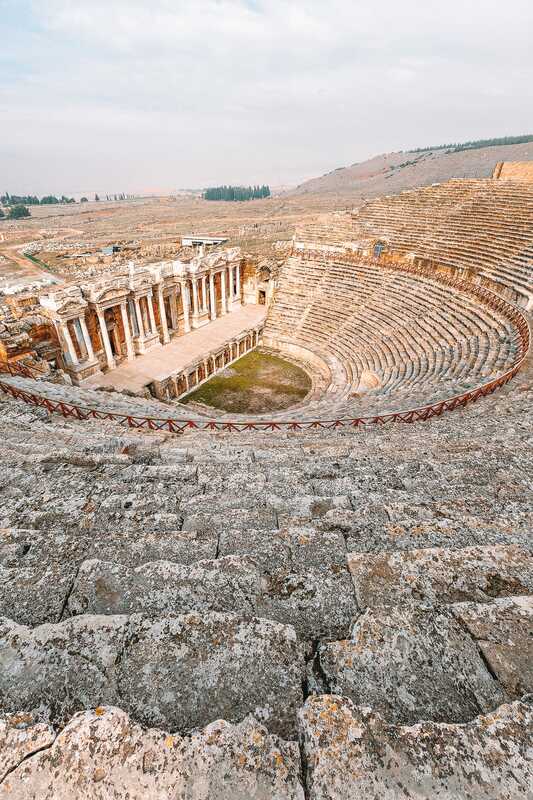 Once you’re here, make sure to wander around the UNESCO World Heritage Site, explore the amphitheatre (built by Hadrian) and visit the Nymphaeum by the Apollo Temple. 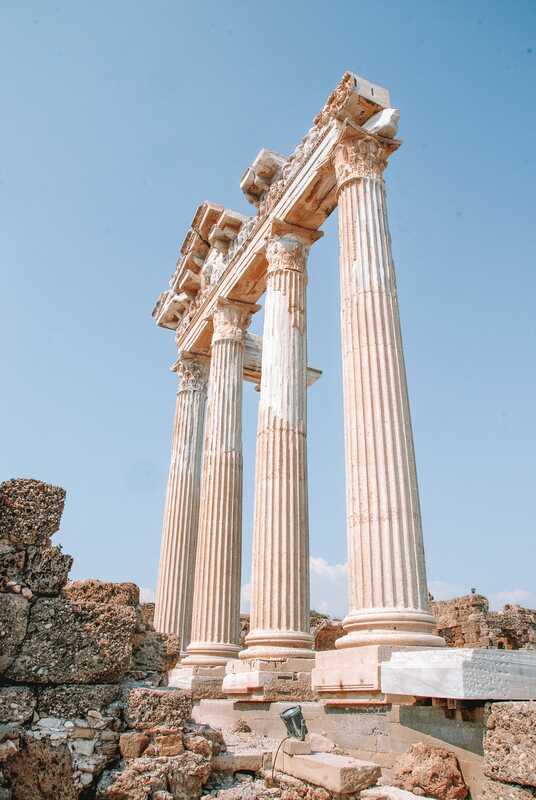 Now, if you’re visiting spots like Marmaris, or the southwest coast, it’s pretty easy to go on a day trip to Hierapolis. After all, the drive takes about 3-hours. 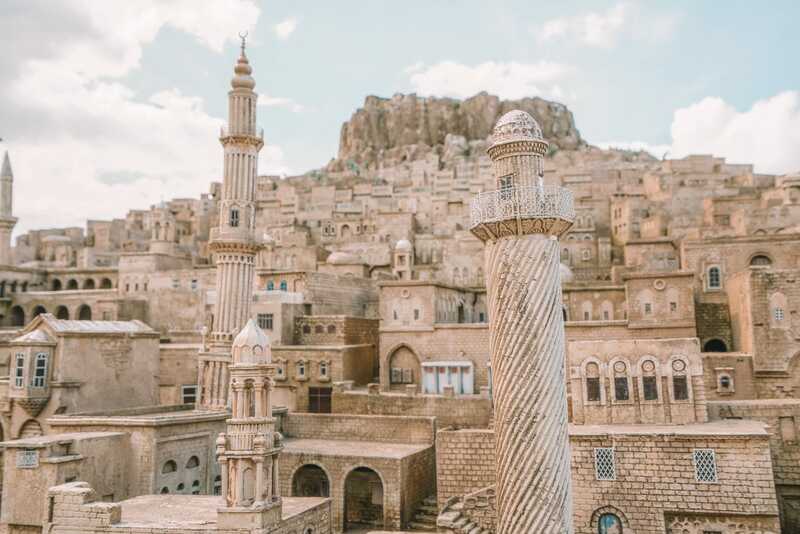 One of the main reasons to visit Mardin is for its stunning Artuqid architecture and buildings that look so incredible nestled between the hills. 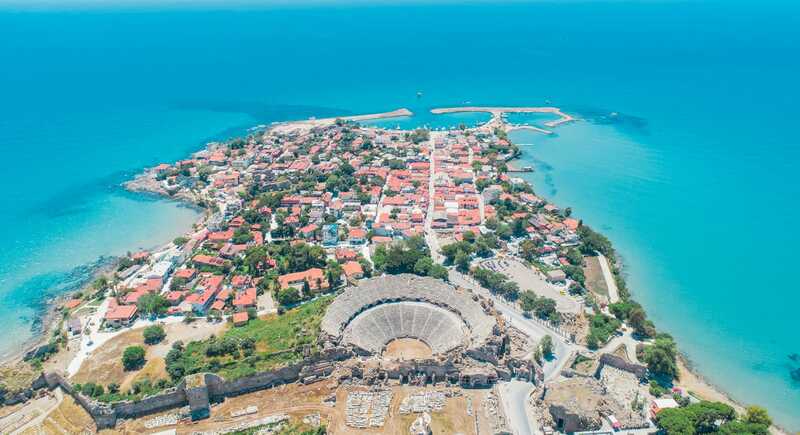 Now, the entire ancient city is a designated UNESCO World Heritage Site which hopefully gives you an idea of how important and beautiful this city is. The picturesque location has several historic buildings. At the top of the hill, there is an impressive looking citadel. But unfortunately, all you can do is look as it is inside a restricted military zone. In the city, you will find a heap of historic churches and mosques, too. Make sure to visit the 12th-century Great Mosque, with its minaret towers that scale high above the city. Also, Don’t forget the Deyruz-Zafaran Monastery, it’s one of the world’s oldest monasteries in the region. 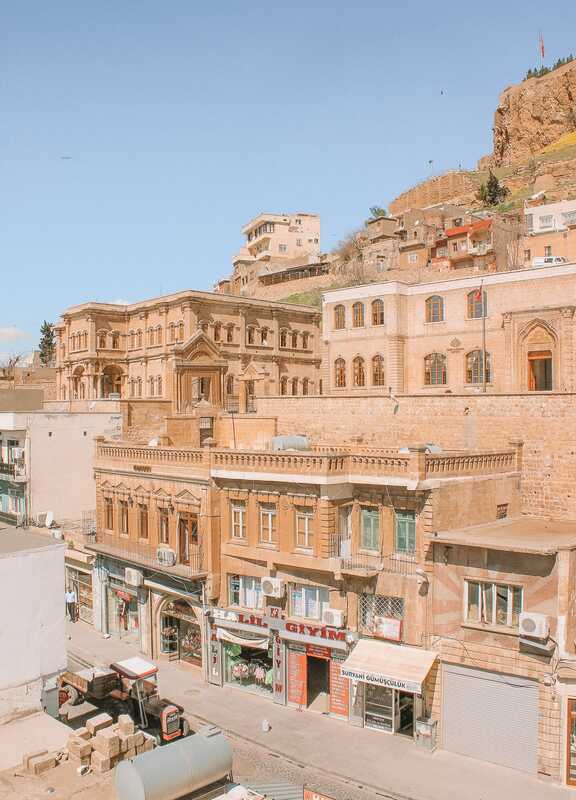 Now, one thing to mention is that Mardin is only around 5-10km from the Syrian border with Turkey. This in itself can be a problem and the UK Government has advised against all but essential travel in this area. We always use the UK’s FCO Website that details the safest areas to visit. 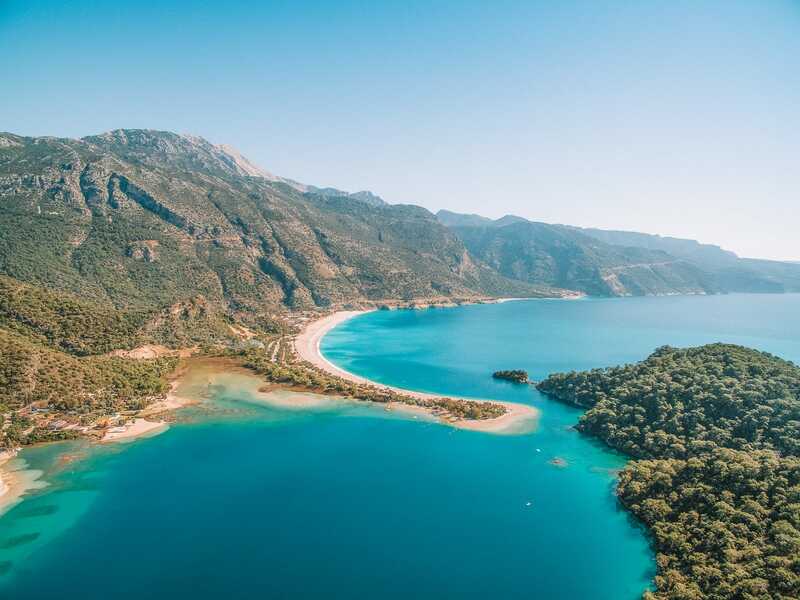 Nestled in the Fethiye district, Gocek is one of the best places in Turkey to visit if you want to chill and relax by the sea. We spent about 5-days in Gocek and explore the unspoilt islands, walked the coastline and enjoyed the stunning Mediterranean Shoreline. It really is a beautiful area. Once you’re in the Gulf of Gocek, make sure to check out; Caunos, the Fethiye Museum and Patara. Also, for a gorgeous place to stay, we checked into the Rixos Premium Göcek (which was amazing). 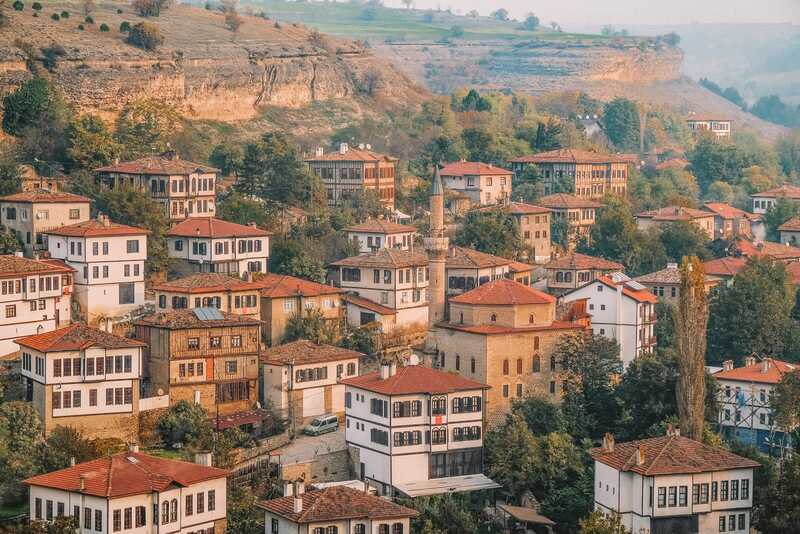 Filled with Ottoman architecture, Safranbolu is a historic town that was once an important trading stop between the east and the west. 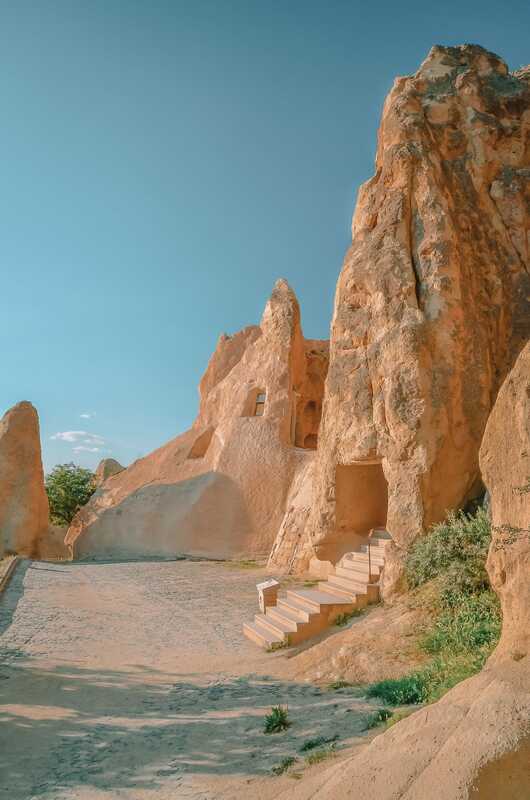 Once you’re here, make sure to explore Yoruk Village, see the Bulak Cave and sip on some traditional Turkish coffee at Arasta Kahvesi 1661. It really is one of the best places in Turkey to visit if you’re in the north. Side is one of the best places in Turkey to visit that’s pretty easy to get to, especially if you’re flying into Antalya. Now, one of the most incredible things about Side is the Roman and Hellenistic ruins that you have to see. With the original Roman amphitheatre located in the centre of this historic town, it’s really easy to visit and a totally iconic site you can’t miss. By car, it’ll take you around 60-minutes to drive from the centre of Antalya. 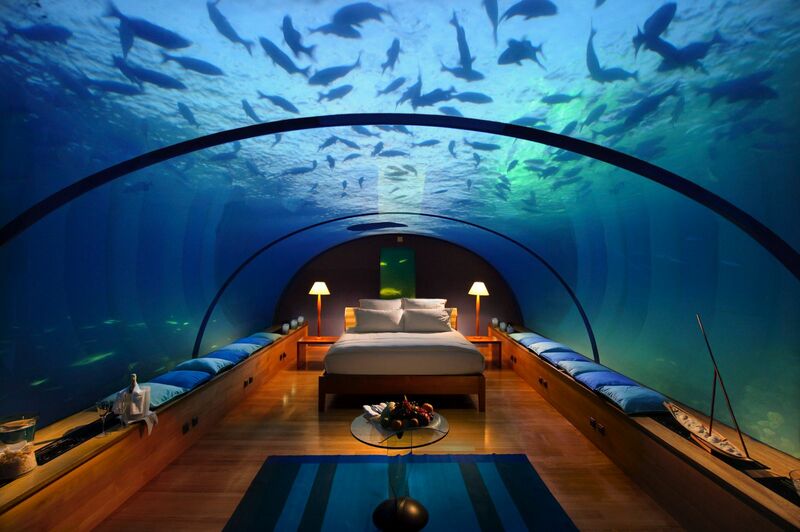 This all means it’s the perfect day trip if you’re bored of the beach. Uzungol might not immediately spring to mind when thinking of the best places in Turkey to visit, but do give it a chance! 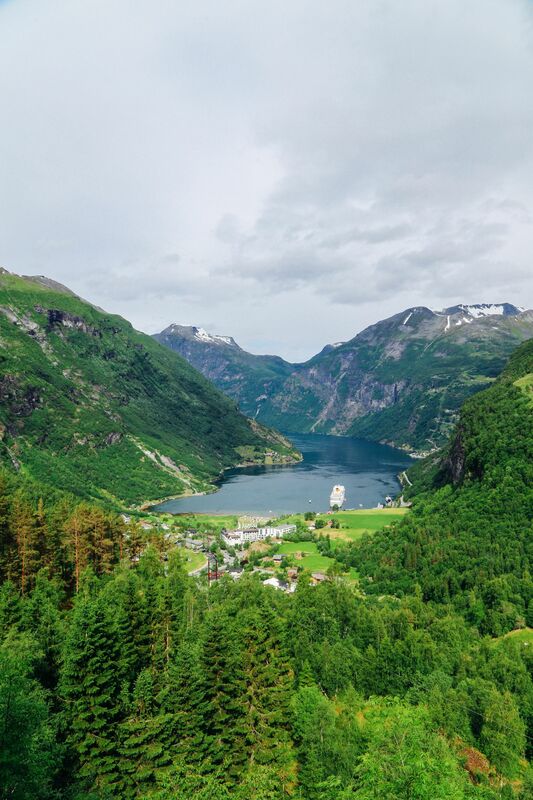 The thing about Uzungol is that it almost feels like you’ve travelled to Norway, the scenery and nature is just stunning. 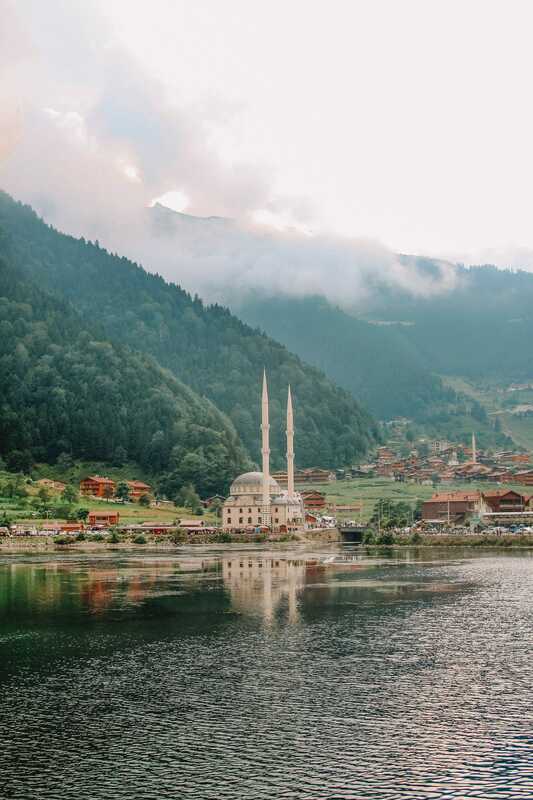 Being quite far away from the more popular areas of the Southwest and Istanbul, Uzungol is likely only to make your travel list if you’re heading to the northeast of the country. 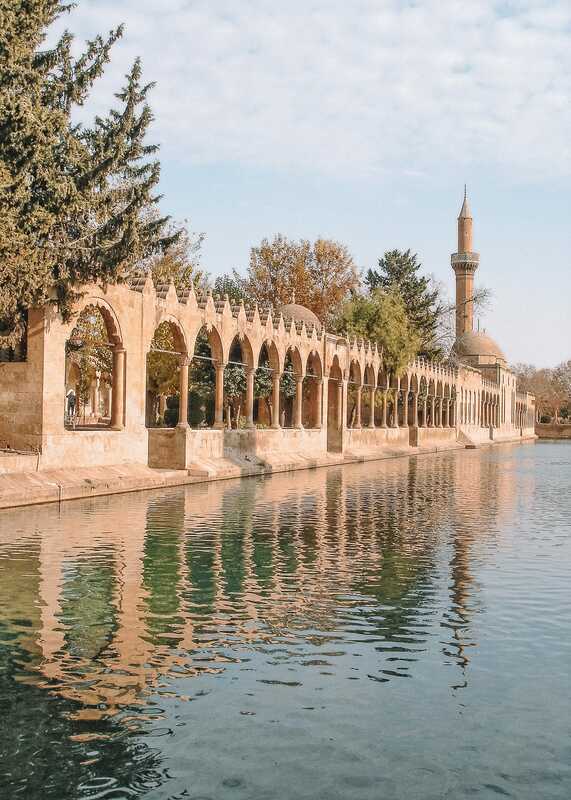 If you do decide to visit, make sure to explore the mosque, wander the shoreline of the lake and enjoy the dramatic natural beauty of this spot. 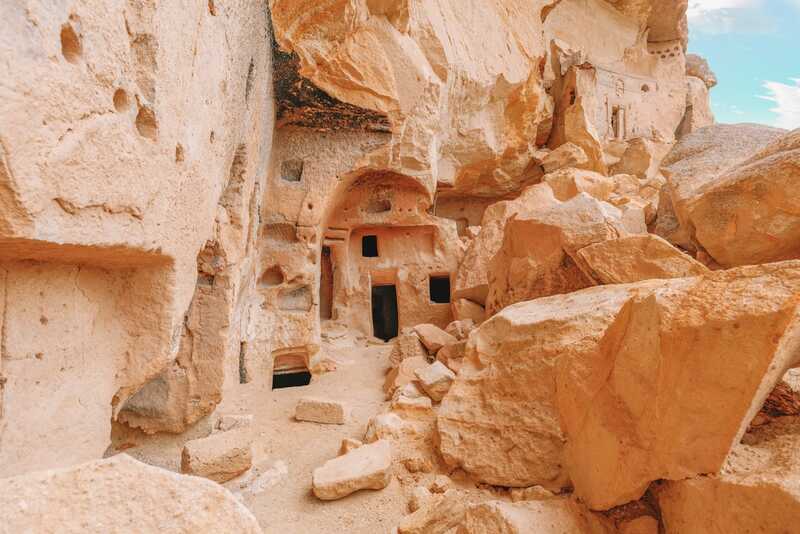 Situated with the southeast, Sanliurfa has a shed load of history to explore. Over the centuries, the Greeks, Egyptians, Romans and Alexander the Great have all dipped their wick in this area – leaving a lasting influence on the city. Once you’re here, explore the Mosque of Halil-ur-Rahman, see Balikligol and explore the Cave of Abraham. 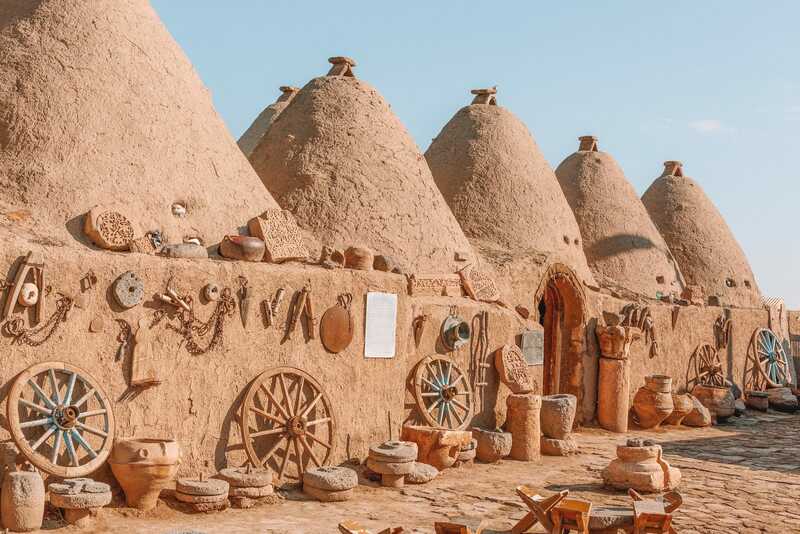 Also, if you can, make a trip over to the beehive houses of Harran, too. Again, as this city sits in close proximity to the Syrian border, make sure to check the UK’s FCO Website. This way you can check if it’s currently safe to visit when you go exploring. Not too far from Gocek (just a little east) is the are of Oludeniz. Now, as I mentioned before, this whole shoreline is totally stunning. That being said, one of the jewels of this area is the Blue Lagoon. Now, one thing to note is that the beach can get VERY crowded, especially in summer. If that will bother you, either arrive early in the morning or head to one of the other beaches on the coast around Gocek. Also, if you fancy a hike, join the Lycian Way which is a trail that starts in Oludeniz and takes you along the coast.